The Christmas season starts early in the Netherlands. 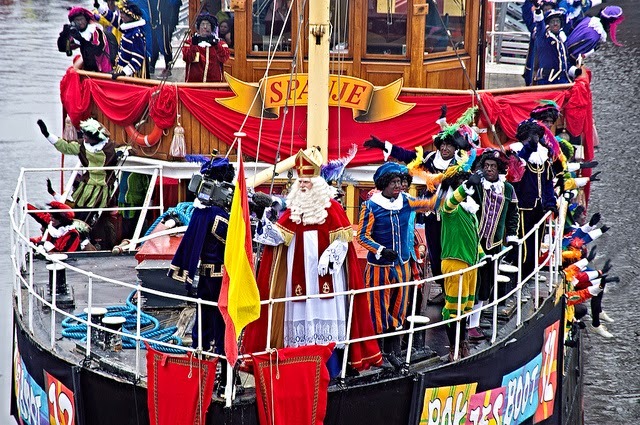 Around mid-November a white haired dude called St Nicolas and his reliable helpers, who are all called Black Peter, travel to Holland by steamboat. Clad in a red robe and mitre, St Nicolas or Sinterklaas is a bishop who allegedly lived somewhere in Turkey and was really nice to children. Not in the Michael Jackson kind of way though. No, he actually saved them from starvation. The origins of his helper, Black Peter, are slightly more vague. Not to mention controversial. He wears clothes that would've been so hot right back in the 17th century, a curly haired wig and bright red lips. 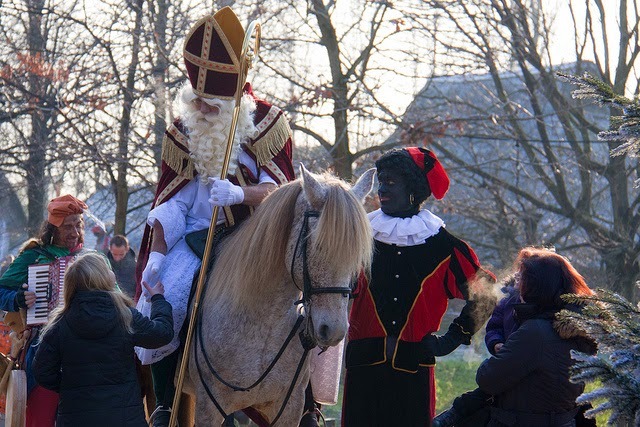 Although even the UN wants to ban him from making an appearance each year, some adamant Black Peter supporters claim he's black because of chimney soot. Others say that his character was invented in a time when slavery was still okay. Think of it what you will, however over the last 5-10 years orange, red and blue Peters have made an appearance in some Dutch cities. So on this steam boat that sails all the way from Spain, (yes for the Dutch he moved from Turkey to Spain) Saint Nicolas and the Black Peters bring bag loads of presents, biscuits and sweets. And empty bags to put bad children in and bring them back to Spain. (Don't ask) His arrival in the Netherlands is a huge event which, I kid you not, is actually televised on national TV. Every year the Saint chooses a different city where he gets off the steamer to ride around town on his majestic, white horse, while the Peters hurl pepernoten and other sweets at people. From this moment on, children throughout the country place their shoes in front of the fireplace or, in my case, under the exhaust filter where the fireplace should've been, before going to bed. 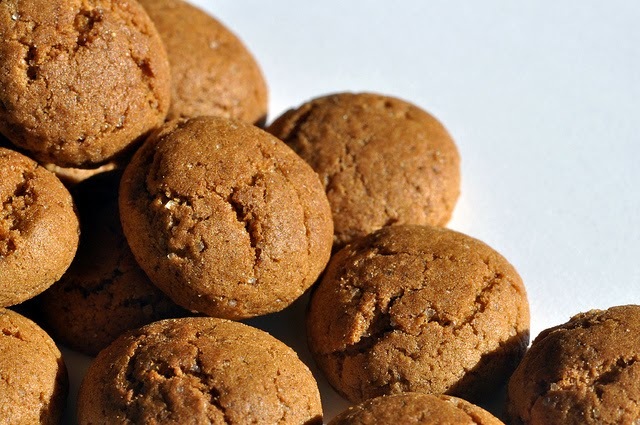 While singing St Nicolas songs, they leave hay and a carrot in their shoe and place a bowl of water for St Nicolas’ horse, in the hope of finding their shoe filled with chocolate initials, ginger cakes called ‘taaitaai’ and marzipan in the morning. Even though the shoe is most likely not filled every night, this ritual is repeated every night. I mean you gotta keep trying, right? Till the evening of 5 December which is called present night. This is the most exciting night in the whole year. For a Dutch child, that is. 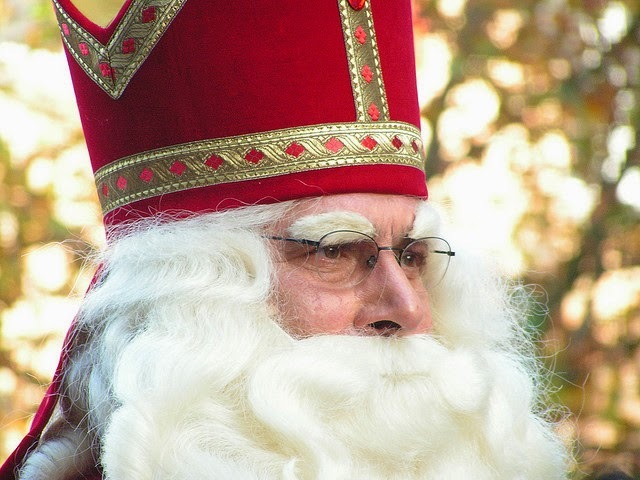 This is the night that St Nicolas and his Black Peters (aka Dutch parents) drop presents down every chimney for every single child in the country. 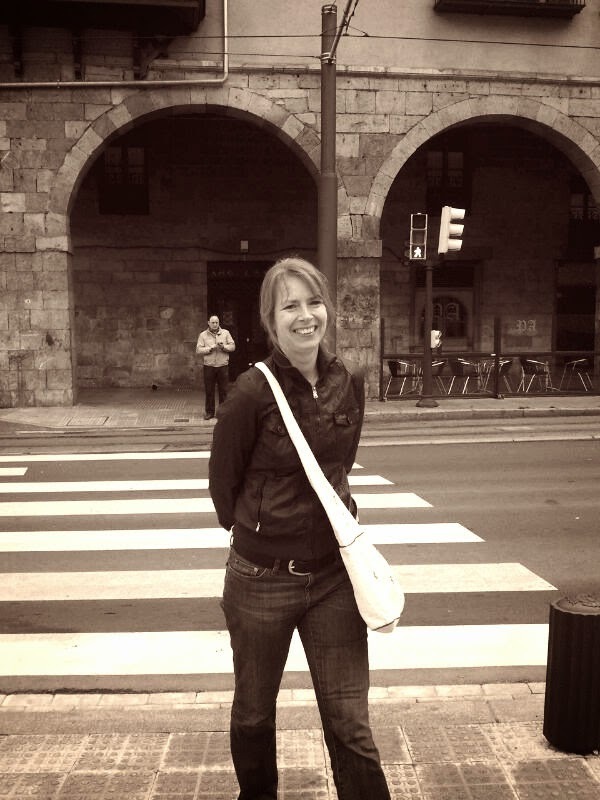 On the 6th, which is St Nicolas day, the Saint and his Black Peters quietly return to Spain, to recover from riding across all those roods and to prepare for the following year when the whole thing is repeated. I do really miss it living in London. I adore this - what a fantastic twist on tradition!